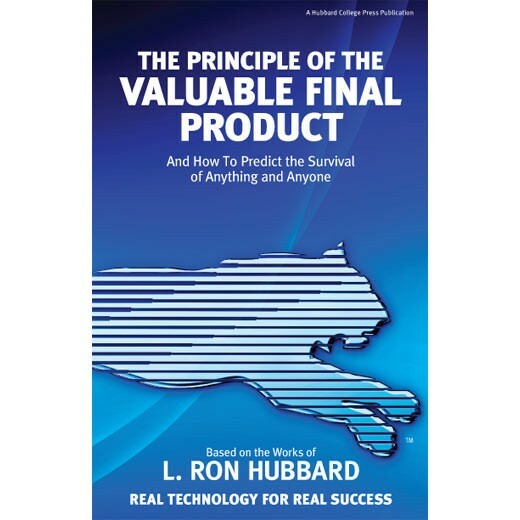 The subtitle of this booklet is “… How to Predict the Survival of Anything and Anyone.” That should give you an idea of how powerful the information is. This principle of the valuable final product is a unique management tool. With it, you can take a company that is failing, or simply not doing as well as it could be, and turn things around. The improvements realized by putting this concept into practice are dramatic. If your staff aren’t doing as well as they could be, this is the principle they need to understand to remedy the problem.